Secondary loses are encountered over time, rather than all at once. For those who are grieving, these loses began to unfold as you continue on with your everyday life. They can appear in many different forms and affect each person differently. There are several heathy ways to cope with secondary loses. One way is to create a special memento to preserve the memory of shared experiences/ rituals. 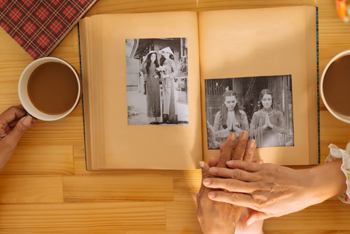 This could be by creating a scrapbook that showcases all the precious memories shared with a loved one. You could also find new ways to enjoy your shared interests such as picking up a dance class. As for your financial security, don’t hesitate to reach out to family and friends. You can also seek assistance from professionals for guidance in your financial matters. Additionally, you will need to get help with taking over managing new tasks formerly done by your loved one. This could mean rearranging your daily schedule to include new tasks or hiring a handy man. Family and friends will be your biggest support system and will help to guide you through managing secondary losses.